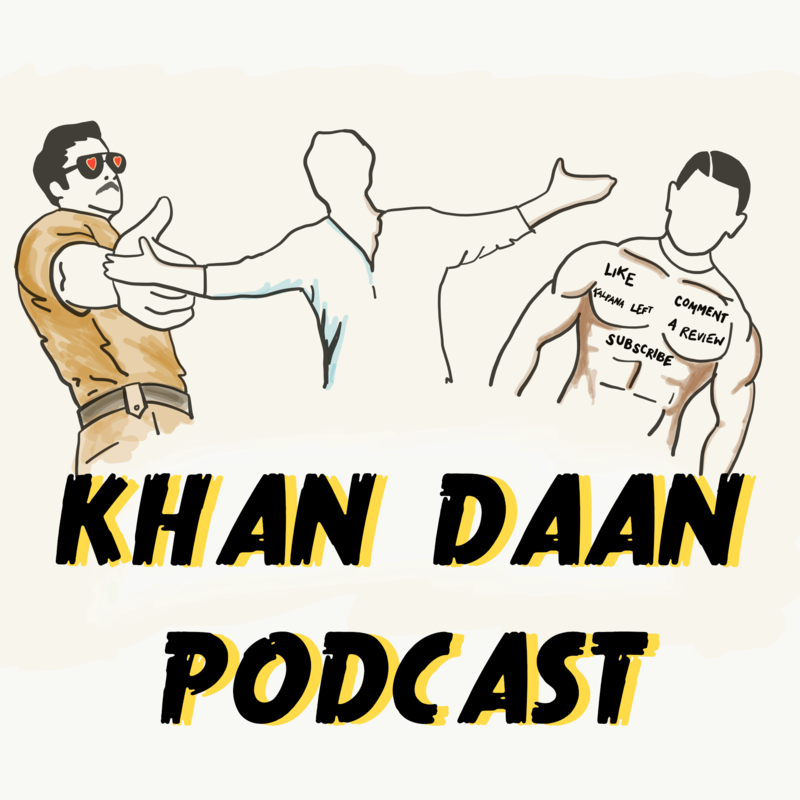 Ep 1- What is the Khandaan Podcast? Can one really overstate the Khan effect on Bollywood these past 25 years? Asim, Sujoy, and Amrita, co-hosts of the Khandaan podcast, don’t think so. The movies of Aamir, Salman, and Shahrukh are significant threads forming the rich cinematic tapestry that adorns the background of the lives of generations of South Asians – we sang their songs, mimicked their dance moves, and copied their wardrobe; we meme their blockbusters, obsess over their private lives, and giggle helplessly just remembering bits of their dialogue. There have been other hugely influential Khans in the industry but over the past quarter century, there’s been nobody like these three. In their own ways, each of these men have changed the course of their industry. Aamir has evolved over the years into the Bollywood patriarch who invests in wholesome movies with a message; Salman is the boisterous life of the party who promises his audience as good a time as he can manage every single time; and Shahrukh is the risk-taking middle class boy whose reach extends beyond cinema and the desi diaspora. As we launch this project in late 2017, however, it remains to be seen how far their momentum can carry them. Born in the same year, the Khan trio are now in their 50s even if they don’t always act like it. They are the first generation of Hindi cinema stars to have achieved such longevity as leading actors. After nearly 30 years on top, with younger actors jostling for space in this new iteration of the Hindi film industry that the Khans built with their favorite collaborators, one wonders if the Age of the Bollywood Khan is slowly coming to a close. Thus, the Khandaan podcast – a timely retrospective of Khan work through the years. We begin with episodes focused on the debut features of the three Khans – Qayamat se Qayamat Tak (1988) for Aamir Khan; Maine Pyaar Kiya (1989) for Salman Khan; and Deewana (1992) for Shahrukh Khan. Technically, of course, Aamir can be seen as a child actor in the films of his uncle, ace director Nasir Hussain, as well as his father and made his adult debut in Holi (1984) opposite Madhuri Dixit, ironically playing the type of obsessive creep that would be made iconic by Shahrukh a few years later. Similarly, Salman’s first foray into Hindi cinema was in the Rekha-starrer Biwi Ho To Aisi (1988) where the director hated his work (and specifically him) so much he had his voice dubbed. Meanwhile, Shahrukh was an extremely popular television actor who’d made his debut in the cult made-for-TV art film In Which Annie Gives it to Those Ones (1989) and his intended Hindi cinema launch was Hema Malini’s Dil Aashna Hai (1992) where he played the solo lead. However, we chose the movies that we considered as having officially launched the three into the arms of their adoring public.